Content creators are typically interested in earning an edge on their competition. Call it sheer determination, strong work ethic, or a frantic stress from the mounting pressures of being a content marketer in today’s highly competitive market—whatever you call it, proactively learning how to improve one’s writing pays dividends in the content world. 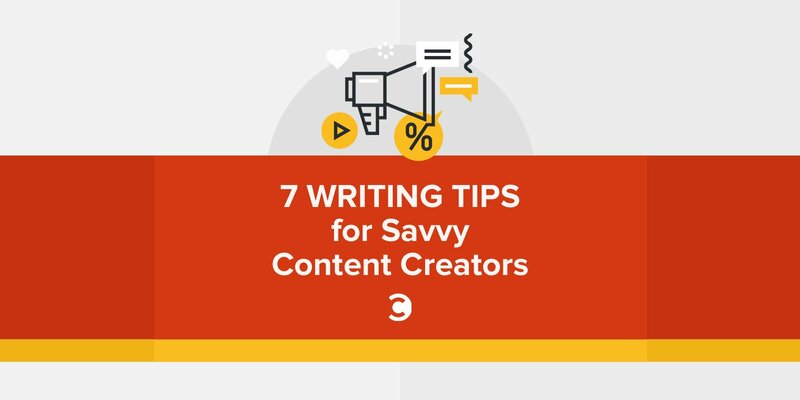 Learn from the following seven tips that I use every time I write content for a client or for a third-party publication. 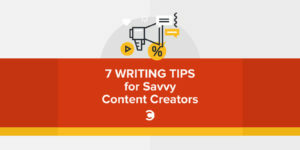 Over time, you should build these tips into a routine that will expedite your content creation processes, increase your content cadence, mandate a consistent level of content quality, and help you become one of the savviest content creators. Whether a 400-word teaser article, a 65-page ebook, or concise landing page copy, you should always start by creating a strategic outline for your project. When you don’t fully understand the purpose of the content you’re creating (and trust me, I’m guilty of this from time to time), your writing can appear scattered or misaligned—and ultimately perform poorly. Start by picking a topic and organizing your key talking points before you commit to any significant writing time. This rough outline will help you fine-tune your topic and stay on track as you fill in the details, but outlines are also important for team collaboration. It is much easier to change content direction and let the rest of the team know what you’re up to before you finish your project, which can save you from headaches and frustration down the road. Content is more competitive that it has ever been before, and it will only continue to become harder to create stand-out content as this competition grows. Fortunately, a lot of online content is rubbish—and it’s your job as a savvy content creator to sift through the junk, find valuable resources for your audience, and create more of the good stuff. But good research goes beyond Google searches and competitive content analysis—it starts internally. When researching topics to write about, you should meet with leaders from other departments in your organization. Learn what the sales team cares about, learn what your customer success managers care about, and ultimately, learn more about what your audience, customers, or readers care about. Rather than surveys and emails, meet with team members and customers over coffee, or schedule a phone call at the very least. These environments are more personable, thus enticing people to open up more about their challenges or opinions—all of which can inform your future content creation. The purpose of most written content is to inspire your customers to take more favorable actions with your business. This means that you need to write content to persuade your readers to opt-in to email, sign up for a webinar, purchase your $50,000 software, etc. To do this, you must first empathize with your readers’ struggles and offer real solutions to help them. If you continually give your readers valuable information, they are typically more inclined to do something for you, like sign up for your newsletter. This one has admittedly been awkward for me, but my mentor Brian Honigman insisted that I read my content aloud before submitting it for editorial. Maybe he was tired of fixing all of my silly grammar mistakes or vague advice, but he couldn’t be more right. After finishing a draft of your content, read all of your work aloud. If you’re in a coffee shop working remotely or your colleagues catch a glimpse, you may appear to be a lunatic, but heck, you’re the one tasked with all of the writing and mental anguish—they should give you a break! Reading aloud will help you identify awkward punctuation, odd sounding phrasings, or sections that simply don’t make any sense. Even when you spend 30 or 40 hours on a content project, mistakes can still surface, and they can be devastating. Admitting that you need an editor is the first step toward writing recovery and a successful career as a content creator. Editors can often be a godsend, but they can also be incredibly frustrating to work with. It’s best to concentrate on making the editor’s job as easy as possible and always taking criticism constructively. This is particularly true when you first start writing or you start working with a new editor. Each editor will have a unique style, and it’s your job to respect them and their expertise, even when they seem to enjoy butchering your content. Ultimately, they make you look good, or at least a bit better than you were before. Not every content creator has the luxury of working with an editor. In fact, many don’t receive editing support at all. In these scenarios, it’s best to ask for feedback from your peers or develop a group of colleagues that don’t mind reading your work. Ask for the opinions of other department leaders. Undoubtedly, the sales leader will have a different opinion than the customer service manager, but their feedback can help you identify what’s missing from your content or the direction that you should be taking in the future. When I was learning how to write articles for clients, I read a grip of articles like this one—and “write every day” was a recurring tip. It always made me absolutely furious. I mean, obviously I need to write every day. It’s my job! What sort of advice is this? Then I realized that “write every day” is meant to be more of a shift in your mentality about writing in general. You see, most people write every day: a Slack message here, an email there, 14 Facebook messages, etc. But most people do not concentrate heavily on what they are writing, particularly in casual settings. By changing your mindset every time you write to become more purpose-driven, to really focus on the meaning of the words that you are typing, to become more intentional—this is the mental shift that all content creators need to make to improve their writing and communication at work and in day-to-day life. How long have you been creating content? Did you find these seven tips helpful, or do you plan on using them in your next writing project? Have you already been using these tips? Put your thoughts or any feedback that you have in the comments below.